Lavender is an invaluable essential oil in both perfumery and aromatherapy. The therapeutic benefits of lavender are varied and many. It is perhaps the most versatile essential oil, used for many conditions affecting the digestive, respiratory and nervous systems and in the treatment of muscular and joint pain. Last but not least, lavender is highly esteemed for treating skin disorders as well as for use in skin care and cosmetics. It is one of the very few essential oils that can be used neat (undiluted) on the skin to treat burns, wounds and scars, etc. It is used in skin care and for keeping insects at bay as well as to ease their bites. Lavender is used in facial care, soaps, foot care, deodorants and powders for its aroma and therapeutic benefits. Lavender originated in the Mediterranean region, and from there spread to all of Europe. In the 13th and 14th centuries it was cultivated extensively in the gardens of monasteries for both its visual appearance and medicinal properties. It is now grown for distillation in France, Spain, Yugoslavia, Bulgaria, Australia and New Zealand. Because of its antibacterial and insect repellent properties, sachets stuffed with the dried buds are used around the home to scent clothes and drawers, and lavender waters are used to scent linens and sheets. Lavender’s effect on the mind is incredible – it is both stimulating and calming. A little lavender can be applied to the pillow or sprayed on the sheets to induce a restful sleep, and it is also immensely effective in relieving headaches. The stimulating effects and antiseptic properties of lavender make it particularly suitable for scenting soaps and fragrant waters and other toiletries and hygiene products. Its reviving qualities become even more effective when paired in synergies with stimulating essences such as rosemary, eucalyptus or lemon. Aside from lavender waters, in the perfumer’s hand lavender holds special reverence. There is an entire genre of perfume based on the lavender note – Fougere – which takes its characteristics from the contrast between herbaceous lavender and the bitter-sweet notes of coumarin and oakmoss. The solvent extraction yields a turquoise-colored Lavender Absolute with a velvety smoothness, and an ink-like dark green from the Lavender Seville Absolute, which has an herbaceous wine-like depth and raspberry-like undertones. I use a range of lavender oils in many of my hand made Candles products and oils for your massage. My favorite essential oil is peppermint if I’m only going to use one oil for overindulgence. However, it might be a good idea to be ready for the holiday season and make a synergistic blend of essential oils to have ready whenever you overeat. Once you have blended the following oils together in these proportions, use 1 to 2 drops in honey tea. 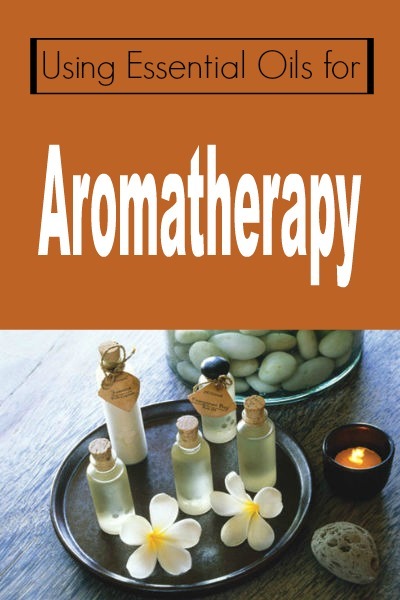 Aromatherapy is the easiest method of using essential oils, and also the most commonly practiced. The best thing about using essential oils for aromatherapy is that the oils do no necessarily have to be medicinal grade, which means they are less expensive and much easier to find. The best essential oils are 100% pure and organic though and they do not have to be expensive, depending on the oil. Obviously the more costly brands of oil are going to be more pure, but any of the essential oils found at your local health or specialty stores will do just fine for household aromatherapy. Tomorrow I’ll give you some of my favorite recipes for using essential oils in our home. To make these homemade recipes, you will need a few basic ingredients (6 or 8 oz spray bottles, distilled water, grape seed or another carrier oil) and your favorite essential oils (a few of mine are orange, lemon, tea tree, peppermint and lavender). Fill spray bottle with water (does not have to be distilled) and add 20 drops essential oil of lemon; shake well. Use for spraying on counter tops or cleaning the stove, fridge or appliances. Leaves a fresh scent while disinfecting! Fill a spray bottle with distilled water and add 20 to 30 drops essential oil of lavender. Spray sheets, pillowcases, or other linens for a lovely fresh scent! This also works well for spritzing your hair, especially if you have wavy or curly locks. Fill a small empty bottle (one that has a screw-on lid, i.e. an empty vanilla bottle) with grape seed oil and add 10 to 20 drops lavender essential oil. Use more oil if you have a larger bottle, less if the bottle is smaller. Shake well to combine. Pour a small amount into the palms of your hands and rub hands together before you give a massage. Works well on babies after a bath. To deodorize and disinfect cloth diapers, add a few drops of lavender and tea tree essential oil to wash water before you add soiled diapers. The lavender leaves a pleasant fragrance and the tea tree oil acts as a disinfectant. Essential oils are wonderful for nearly any household use: adding to laundry (lavender or citrus blends), scenting homemade cleaners (citrus blends), boiling in water for “potpourri” (cinnamon), adding to bath water (lavender), spraying on clean clothing before ironing, etc. Pregnancy is both a beautiful and stressful experience for women. Since the baby is so connected to the mother, when the mother is stressed out her baby may feel stressed out as well. Taking a relaxing soak with aromatherapy bath oils can put mother and child in a good frame of mind. Not only will a relaxing soak with bath oils reduce stress, it also surrounds the mother with beautiful smells. Many pregnant women report sensitivity to smell. Doctors recommend mothers surround themselves with pleasant smells to ease the mind and prevent nausea. You can dilute 5 drops of any of these essential oils – tangerine, grapefruit, geranium, chamomile, ylang ylang, lavender in 1 teaspoon of shea, grapeseed, or almond oil to make a wonderful bath oil. If you or a loved one are going through a difficult pregnancy and have a hard time relaxing, consider giving bath oils a try. From the moment of conception, everything you eat or apply to your skin filters to your baby. The baby will hear everything you hear and feel everything you feel so pay attention to the kind of music you listen to, the movies you watch and try to keep the tension in your life at a minimum. This is a time in your life when you should eat and drink only the best of everything, cut out bad habits and definitely give up smoking. Many essential oils are safe to use while you are pregnant but there are also some that you should avoid. The ones that are safe for you to use are tangerine, mandarin, grapefruit, geranium, chamomile, rose, jasmine, ylang-ylang and lavender. You can use these oils in a bath, shower, as a massage or in one of the room methods. During pregnancy, always use the minimum amount of essential oils. I have a few relaxing blends that I use quite often but I also like to come up with new blends. Sometimes an oil will surprise me with how soothing it is, and I’ll wonder why I’ve never used it in my relaxing diffuser blends before. Then I have a whole new set of ideas for blends to make! If I’m diffusing essential oils in a candle diffuser, I usually stick to about 5 drops. If I’m using an electric diffuser, I’ll use more—about 10 drops. Once I find a diffuser blend that I love, I often make a little stock bottle of it. I keep the stock bottle right near the diffuser, so I don’t have to keep all the oils in the blend right there. The drop count here is for one use in an electric diffuser. That way you can test out the recipes, and if you like one then you can make your own stock blend. To make a stock blend in a 5 ml bottle, just increase the recipes below four times. Try these aromatherapy essential oils in your diffuser and let a nice relaxing blend of essential oils ease away your stress. Guest editor today is Andrea Butje from the Aromahead Institute. You can watch her make a stock bottle of a relaxing aromatherapy blend if you click here. With a common cold I can usually keep functioning as usual but if I develop a fever, that will stop me in my tracks. A fever can take your body through changes from shivering and coldness to sweating and delirium. If you have a fever, bed rest is often the best cure. You should also try to bring the fever down. The best way to break a fever is to keep the body cool with sponging. Add either eucalyptus, peppermint or lavender essential oil to the water used to sponge the body. Give the sick person plenty of liquids, including fruit juices and keep the room aired out. Spray the room with a plant spray bottle containing 1 cup water and 15 drops of thyme. The caregiver should also use thyme, 4 drops in the bathwater, so that (s)he doesn’t get sick too. You are currently browsing the Natural Body Guru weblog archives for November, 2015.